Sure, we all stress about job interviews. But when you walk into one wearing a winning outfit you not only have added confidence, you have an edge over the competition too. There are enough things to keep in mind during an interview—the company’s history, your work experience, your strengths and weaknesses—worrying about your clothing shouldn’t be one of them. Putting together an interview outfit isn’t as easy as throwing on your old suit; if there was ever a day to try a little harder and turn it up a notch, this is it. Don’t underestimate the importance of appearances and how they can affect what a potential employer may think of you. It could make the difference between you and someone else who is just as qualified—but maybe not as well-dressed. Before your interview, research the company for insight into its operations and culture. This will help you craft questions for your interviewers (see below) and determine if it’s a casual work environment or a strict, professional one. Once you know this, you can dress accordingly. As a general rule of thumb, it’s better to dress one step above a typical employee who is working there. Perhaps you are vying for a position at a startup with a casual work environment. In this case, try a collared button-down shirt and a pair of indigo wash denim jeans. 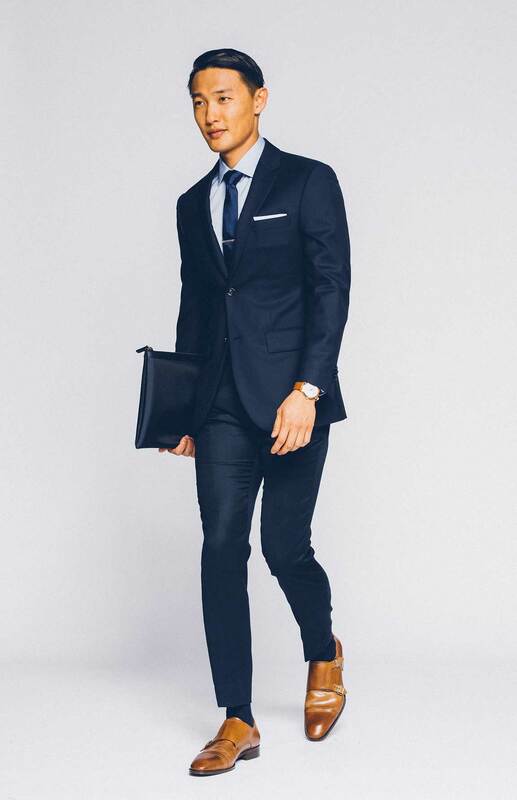 If the dress code is business casual, opt for a full suit and tie instead. Although it may not be what you wear Monday to Friday if you get the job, it will still show the folks conducting the interview that you take the opportunity seriously. 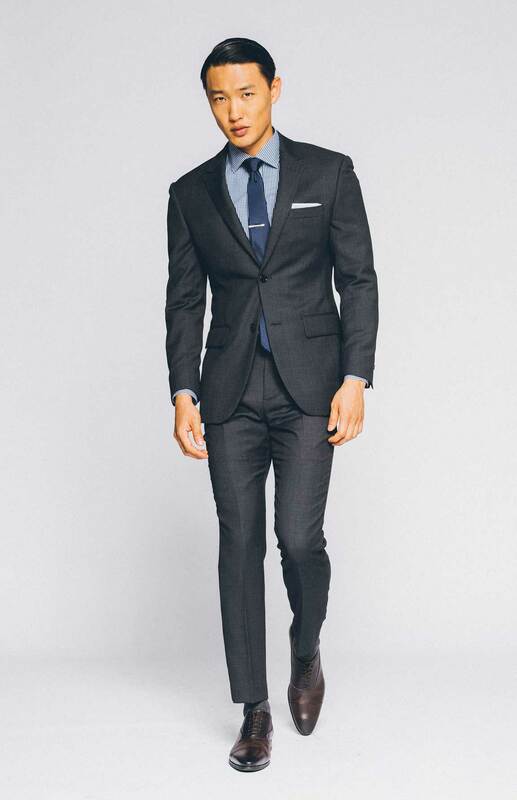 Look like a classic man in our Premium Navy Suit. It’s important on these occasions to find the right balance between convention and self-expression. Even if you prefer bright colors and crazy patterns on the day to day, go classic and wear either a charcoal or navy suit. Never wear a black suit to an interview, as you will appear too formal in just about every instance. If you need to add some color or patterns have fun with your accessories, but keep the overall look relatively understated. This will ensure you make the impression they remember, and not your outfit. Practice answering questions that you know will be asked like, “Tell us about yourself,” and, “Why do you think you are the ideal candidate for this position?” Having answers to these basic questions will help you feel more at ease and appear confident. If you are interviewing for a role that requires a portfolio of work, make sure your work is showcased in a tidy, portable portfolio, or bring a tablet if it’s hosted online. At the end of the interview, have a few insightful questions about the company and the role prepared to ask them. (Our favorites: “What are the things that drive success in your company?” and “What are the attributes of your top performers?”) Lastly, remember to thank the interviewer for his or her time. If you really want to stand out, follow up with an email that reasserts your interest in the job. 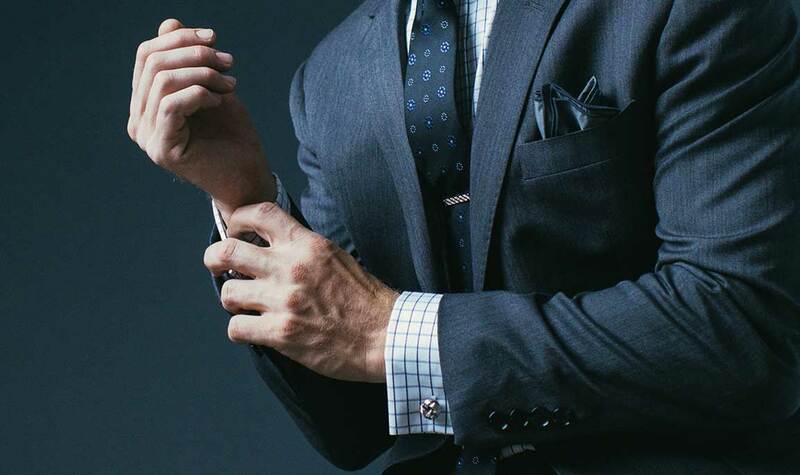 Sometimes it’s the little touches—both in what you wear and how you handle yourself on the day—that set you apart. 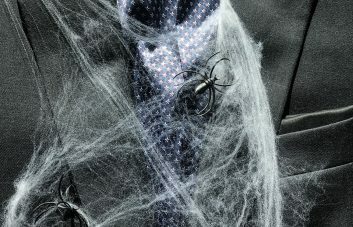 Don’t think you have the right interview suit? Find yours today.